With the NFL season passing quicker than ever, bye weeks have arrived, reducing the available players for fantasy. Along with injuries, bye weeks have led to increasingly tighter pricing on DraftKings. However, leveraging ownership in these situations can lead to profitability. Here is everything you need to know about the DraftKing's main slate. At a mere 5.4k, Andy Dalton has 860 passing yards and 8 touchdowns to his name through three weeks, finishing as the quarterback 12. 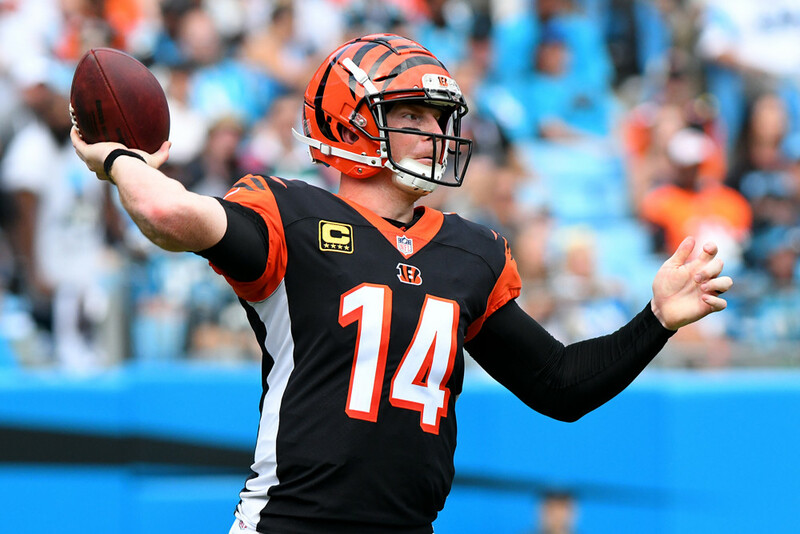 Priced as quarterback 15, Dalton finds himself in a juicy match-up against the Falcons in the week's highest total game at 52-points. Atlanta will be without starters Deion Jones, Ricardo Allen, and Keanu Neal and have allowed the 4th most fantasy points to quarterbacks this season. With this game likely to be a shootout, Dalton enters the cash conversation this week. Ezekiel Elliott has played on a league-leading 94 percent of the Cowboy's snaps and received a massive 98.3 percent of the team's running back touches. Zeke enters a match against the Detroit Lions as a 3-point home favorite. The Lions have allowed the most rushing yards to backs (80 more than the next team), along with an additional 116 yards through the air. Priced well below Alvin Kamara, Melvin Gordon, and even Saquon Barkley, Zeke should eat in Week 4 cash lineups. A little more off the board, Chris Carson locked down the Seattle running back job with 32 carries for 102 yards. Carson also finds himself favored by 3-points against the Arizona Cardinals. The Cardinals have allowed the most rushing attempts to backs this season and the second-most rushing yards. At 4.6k, Carson provides salary relief in cash and GPPs, but may go overlooked on a weak Seattle team. Michael Thomas is fantasy's number one wide receiver and it is not time to get cute. Thomas leads the league in receiving yards (398) and has received a massive 42 targets. More impressively, Thomas has been able to catch 39 of them. While the Giants have played decent against receivers, they allowed Will Fuller to reach 101 yards and played struggling Cowboy's and Jaguar's passing attacks in their other two games. Lock Thomas into cash and GPPs. Benefitting from a multi-week injury to Evan Engram, Sterling Shepard should step into a more prominent offensive role on the Giants. Before the injury Shepard was third on the Giants in targets (15) and that number should increase against a sieve of Saint's secondary. The Saints have allowed the most receiving yards in the league at 843, almost 200 more than the next team. All Giants pass catchers should smash, putting Shepard in play for cash. With the departure of Josh Gordon and the rise of Baker Mayfield, Antonio Callaway's arrow has started to point up. After playing a complimentary role in Week 1, Callaway received 14 and 10 targets the following two weeks and over 81 percent of the snaps in both. Callaway faces an Oakland defense allowing the third-most yards to receivers. At 4.3k, Callaway offers a solid pivot off Tyler Boyd in cash and GPPs. After a disappointing Week 3 with 5 catches for 33 yards, Eric Ebron looks like a solid bounce back candidate. As of Thursday, Jack Doyle remains sidelined with a hip injury, putting Ebron in line to start. Positively, Ebron led the Colts with 11 targets in Week 3, including 4 red zone targets. Ebron draws a match-up with a Texan's defense that has allowed the 9th-most fantasy points to tight ends. Match-up and volume put Ebron in play for GPPs.